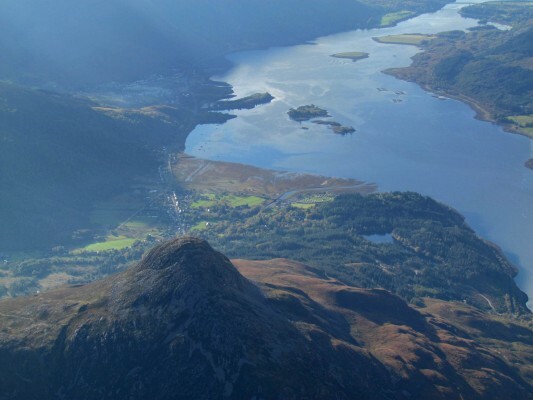 Loch Leven is often by-passed by visitors to Lochaber on route to Fort William from the South. The loch, a long arm of the sea (a Fjord), has been carved out of the land by a glacier. 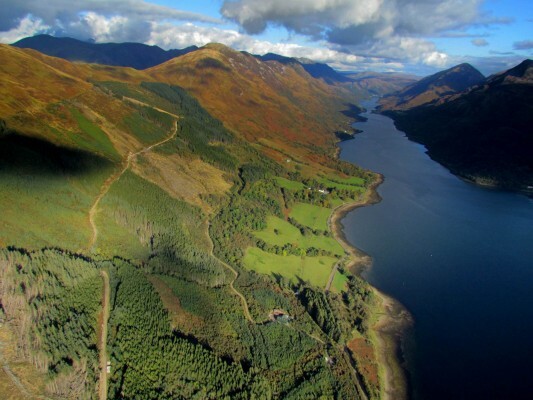 The tour makes a complete circuit of Loch Leven following the B 863 through the village of Kinlochleven at its head. Most of the mountains are built of a rock formation called the Dalradian Supergroup, deposited in a sea 800 million years ago, and folded and recrystallized 470 million years ago at the birth of the Caledonian mountains. Ballachulish slate quarry. Opened in 1692, closed in 1955, this quarry supplied most of Scotland with roof tiles. If you look closely you may see some gold crystals. But don’t be fooled, they are pyrite! Areas with clear evidence of the direction of the movement of ice. Starts from the Ballachulish Tourist information centre in Ballachulish village 25 km S of Fort William on the A82. Driving distance total 32 km. Walking time/total is 1.5 hours. Please be prepared for Scottish west coast weather. See our clothing and equipment page for more information.